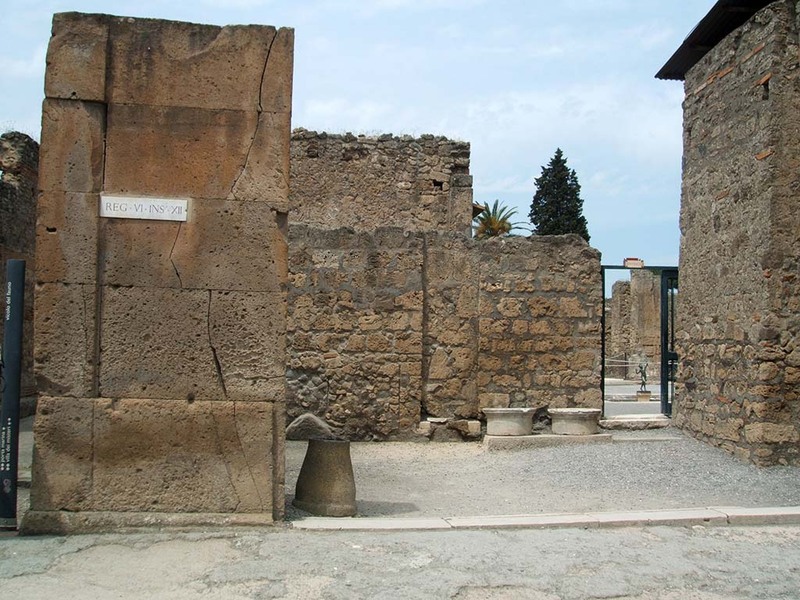 VI.12.1 Pompeii. Shop. Part of Casa del Fauno. First excavated 1829-32. Linked to VI.12.2 and VI.12.8. (Strada della Fortuna 56). 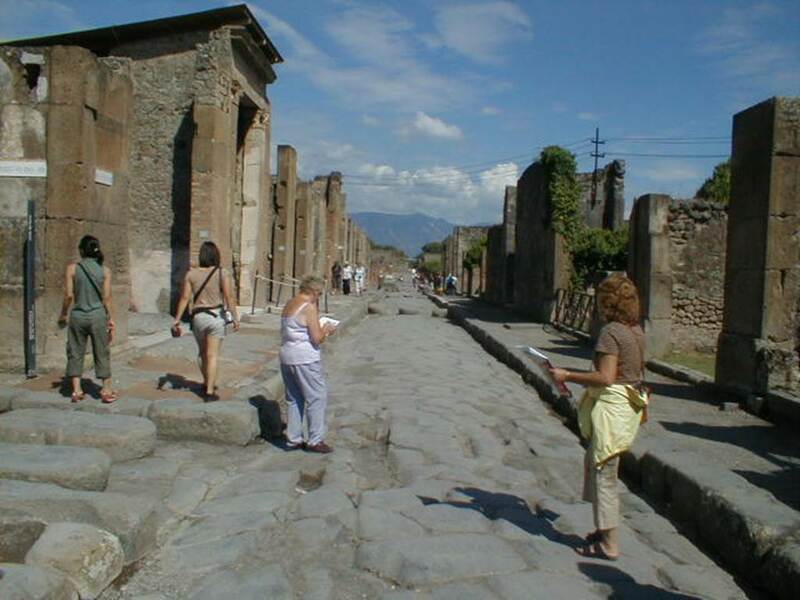 VI.12.1 Pompeii. March 2009. Stone pilaster on west side of entrance. 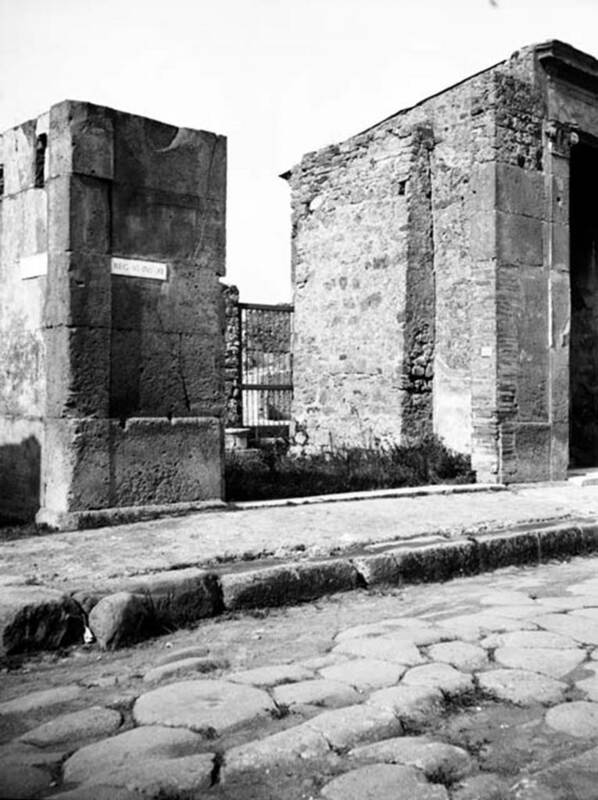 VI.12.1 Pompeii. May 2005. Shop entrance doorway, looking north. According to Fiorelli, found painted on the first corner pilaster, on the left, were the remains of an “Eituns”, or Oscan inscription. Only a few letters were still visible. See Antonini, R., in Quaderni Di Studi Pompeiana, 1/2007, Assoc. Int. Amica di Pompei, p. 57-73. VI.12.1 Pompeii. W.1118. Façade on Via Fortuna Augusta. VI.12.1 Pompeii. May 2005. Looking north across shop-room, to doorway linking with atrium of VI.12.2. 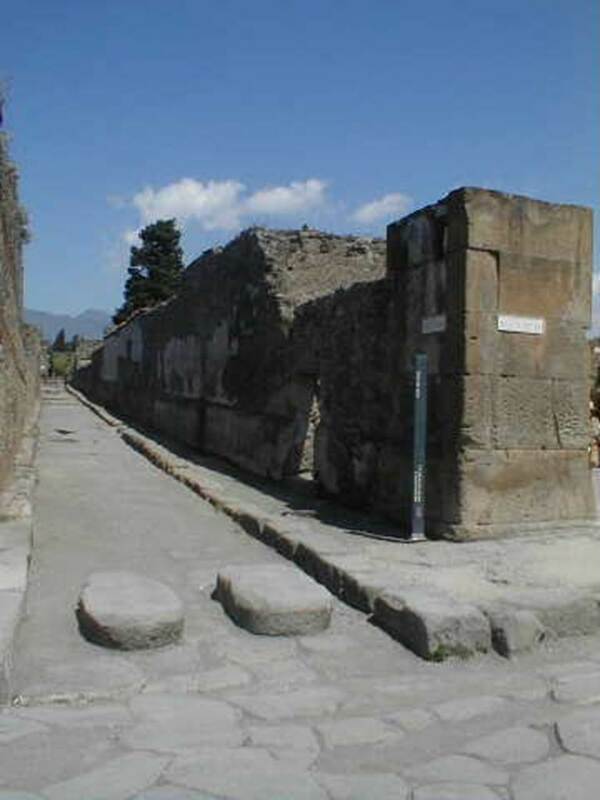 VI.12.1 Pompeii. December 2007. North wall of shop. 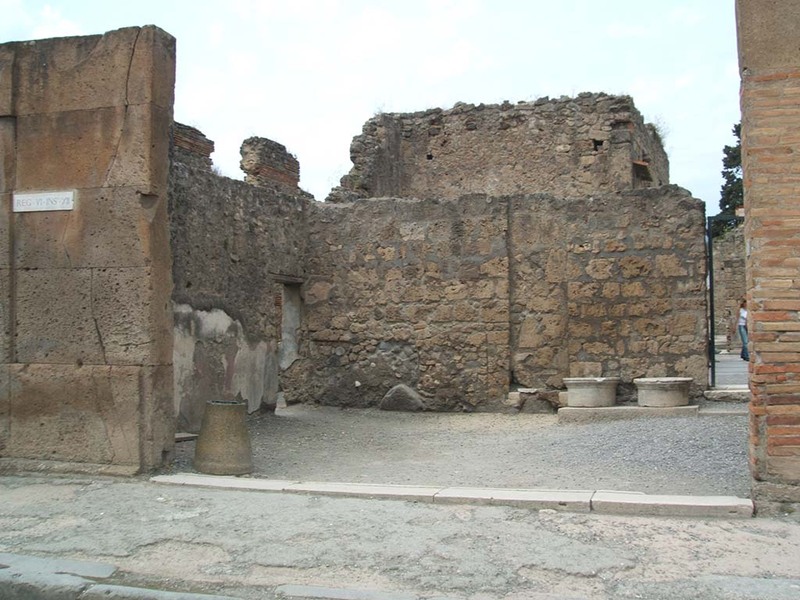 VI.12.1 Pompeii. March 2009. 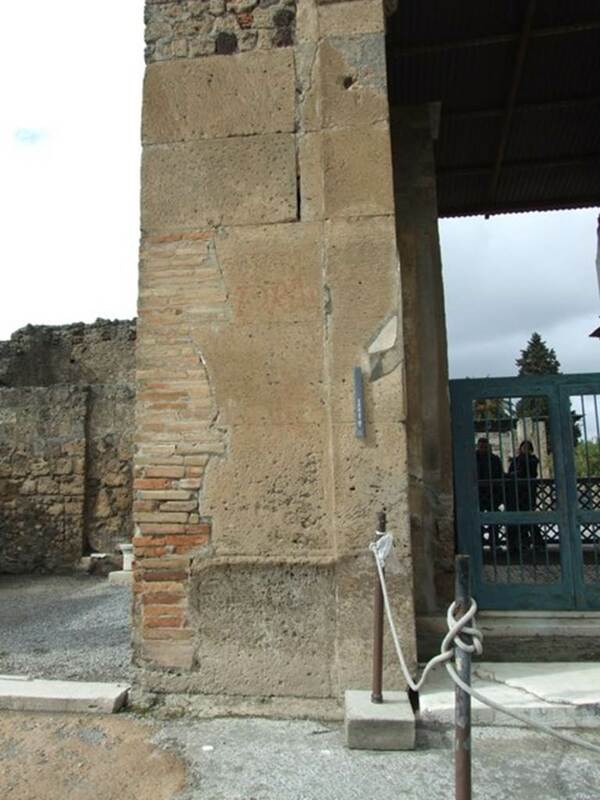 Pilaster on east side of entrance of shop, separating from VI.12.2. For graffiti found on this pilaster, see VI.12.2. Via della Fortuna between VI.12 and VII.4, looking east. September 2004. Vicolo del Fauno, looking north from Via della Fortuna and VI.12.1, September 2004. 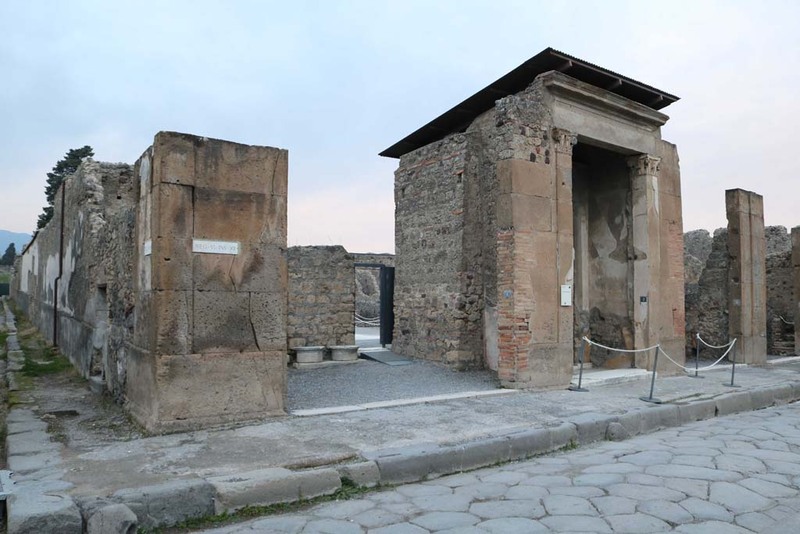 VI.10 Pompeii, on left. September 2004. Vicolo del Fauno, looking north. VI.12.1, on right. 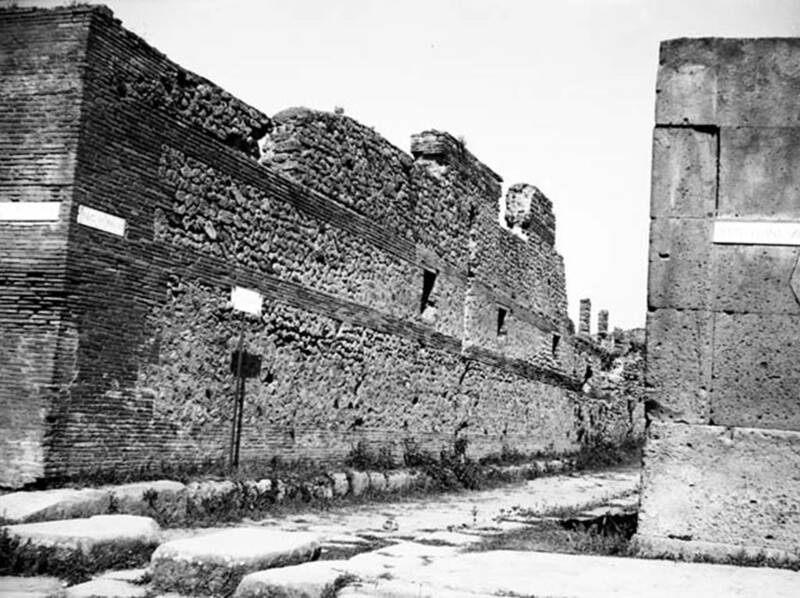 VI.10 Pompeii, on left. W.1116. 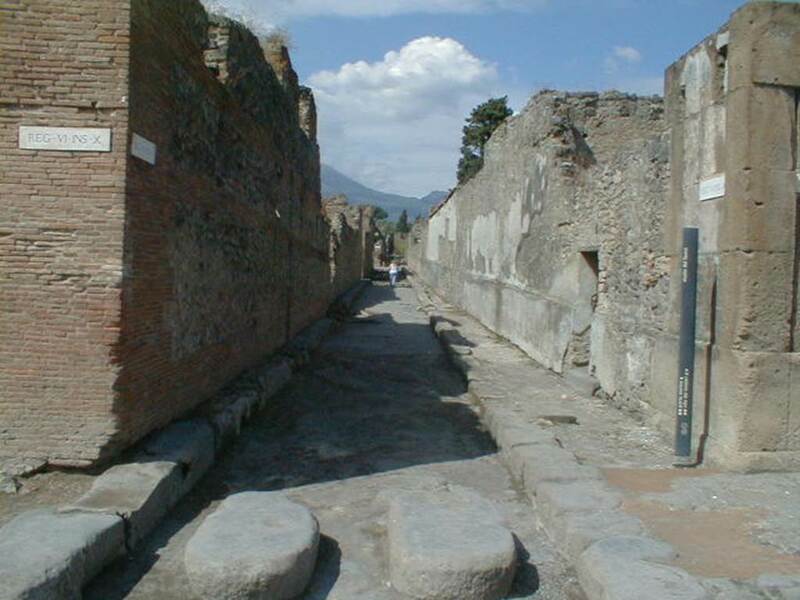 Looking north on Vicolo del Fauno towards east wall of VI.10.15, on left, and VI.12.1, on right.